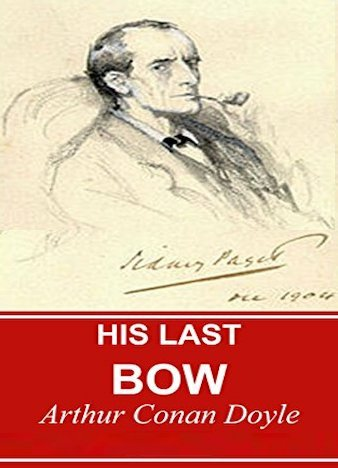 His Last Bow is a collection of seven Sherlock Holmes stories (eight in American editions) by Arthur Conan Doyle, as well as the title of one of the stories in that collection. Originally published in 1917, it contains the various Holmes stories published between 1908 and 1913, as well as the one-off title story from 1917. When the Memoirs of Sherlock Holmes were published in the USA for the first time, the publishers believed "The Adventure of the Cardboard Box" was too scandalous for the American public, since it dealt with the theme of adultery. As a result, this story was not published in the USA until many years later, when it was added to His Last Bow. Even today, most American editions of the canon include it with His Last Bow, while most British editions keep the story in its original place in The Memoirs of Sherlock Holmes.